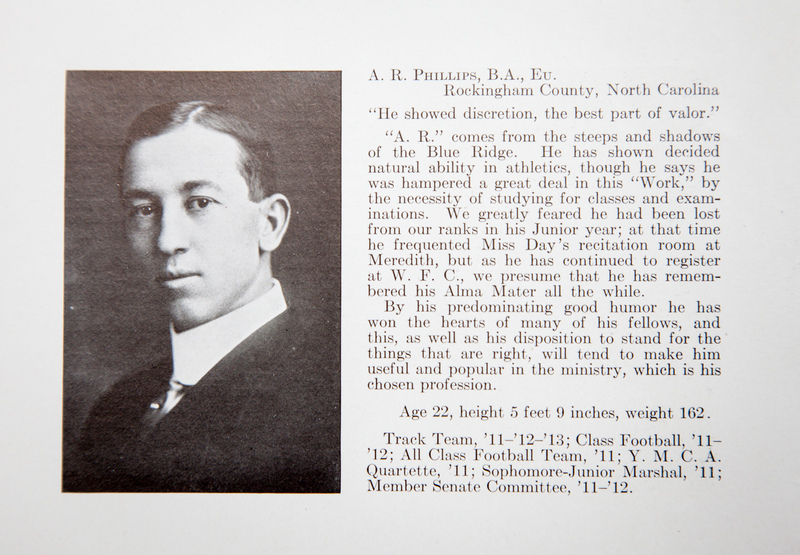 John Burnley Winslow’s graduation present is a 1913 Wake Forest yearbook. 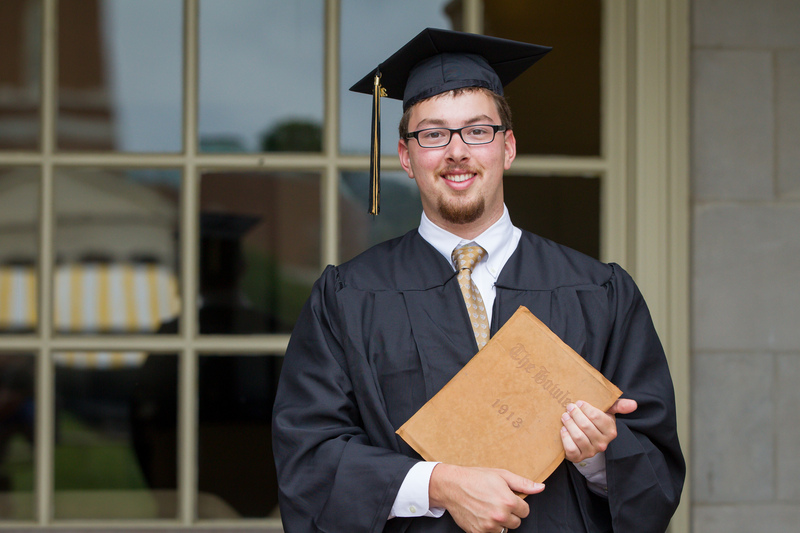 When Winslow walks across the stage to get his diploma, it will be exactly 100 years after his great grandfather Albert Rufus Phillips earned his Wake Forest degree in May of 1913. 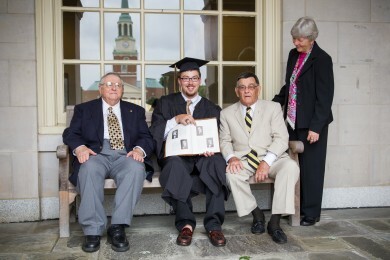 The tan, leather-bound yearbook, with the formal black and white photo of his great grandfather, ties him to his family’s impressive five-generation history with Wake Forest. 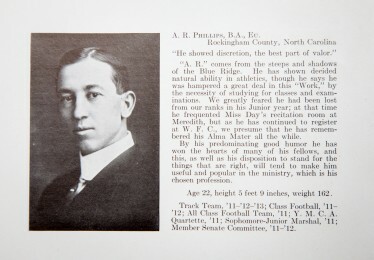 As a Wake Forest student soon after the turn of the 20th century, Albert Phillips studied Greek and Latin, lived in a boarding house, ran track and prepared to be a minister. One hundred years later, his great grandson studied Spanish and mathematical economics, lived in Polo Residence Hall, played golf and prepared for a career in business. “That is why people come here. It is why they have always come to Wake Forest.” Among his favorites: Eric Carlson in physics and Fred Chen in economics. Winslow remembers his grandfather, John Dalton Phillips (’49), talking about attending Wake Forest reunions with his father, Albert, when he was growing up. While visiting the Old Campus, John Dalton Phillips met legendary professors such as George Paschal. Wake Forest College was located in the town of Wake Forest until 1956, when it moved to Winston-Salem. Nearly 40 years after Albert Phillips got his Wake Forest diploma, John Dalton Phillips enrolled. As a high school senior, he traveled from his home in Stokes County to Wake Forest with his father and two of his high school friends. “Come and bring your $50 to register for summer school,” the bursar, E.B. Earnshaw, said to him. Soon, he had his own favorite professors: Jasper Memory in education, K.T. Raynor in math, Owen Herring in religion and Hubert Poteat in Latin. After graduation in 1913, Winslow’s great grandfather went on to seminary. 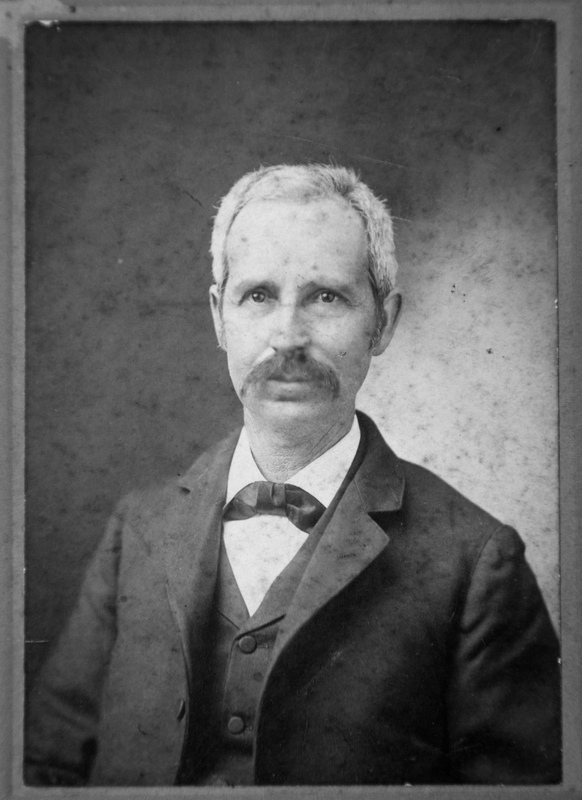 Then, he and his wife served as missionaries in Buenos Aries, Argentina. Later he became pastor of First Baptist Church in Nashville, N.C. 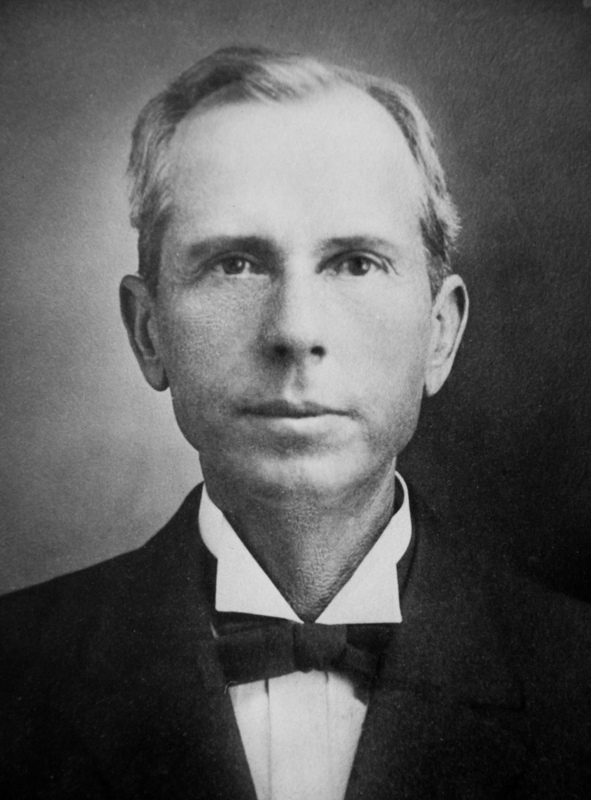 Finally, he moved back to the family’s home place in Stokes County in 1927 and was a teacher and principal in a number of schools in Stokes and Surry Counties. Three of the Phillips’ children attended Wake Forest: John Phillips (’49), Anne Radford Phillips (’58) and William Rufus Phillips (’60 BA, ’63 MA). The Phillips/Winslow family’s Wake Forest legacy actually stretches back to 1875 when Winslow’s great, great grandfather Matthew Dalton Phillips and great, great uncle John Y. Phillips earned their Wake Forest degrees. According to a brief family history compiled by William Rufus Phillips, Winslow’s great uncle, the curriculum at Wake Forest College in the late 1800s included four years of Latin; four years of Greek; four years of mathematics and four years of English. Both brothers came to Wake Forest in 1871. They graduated together in June 1875, in a class of nine men. John Dalton Phillips has the 1875 class picture hanging on the wall in his Raleigh home. Two Wake Forest awards were established in the brothers’ honor in 1975. The Matthew D. Phillips Award recognizes an outstanding student in the classical languages department each year. The John Y. Phillips Award honors an outstanding math student each year. “I don’t think there’s another legacy like this. It makes me excited and proud and gives me goose bumps,” said Winslow’s mother, Catherine Phillips Winslow, who recalls driving over to the Old Campus with her father and visiting with her father’s friends and professors when she was growing up. She remembers the sense of history and belonging. John Winslow (’13) talks with his great uncle, William Rufus Phillips (’60, MA ’63), his grandfather John Dalton Phillips (’49) and his great aunt Anne Radford Phillips (’58) in front of Reynolda Hall. “John made up his mind in seventh grade that he was going to make straight As and get into Wake Forest,” Catherine Winslow said. Was her son pressured to follow in the family footsteps and become a Demon Deacon? No, John Winslow said, even though his father Robert Raymond Winslow III is also a Wake Forest graduate.